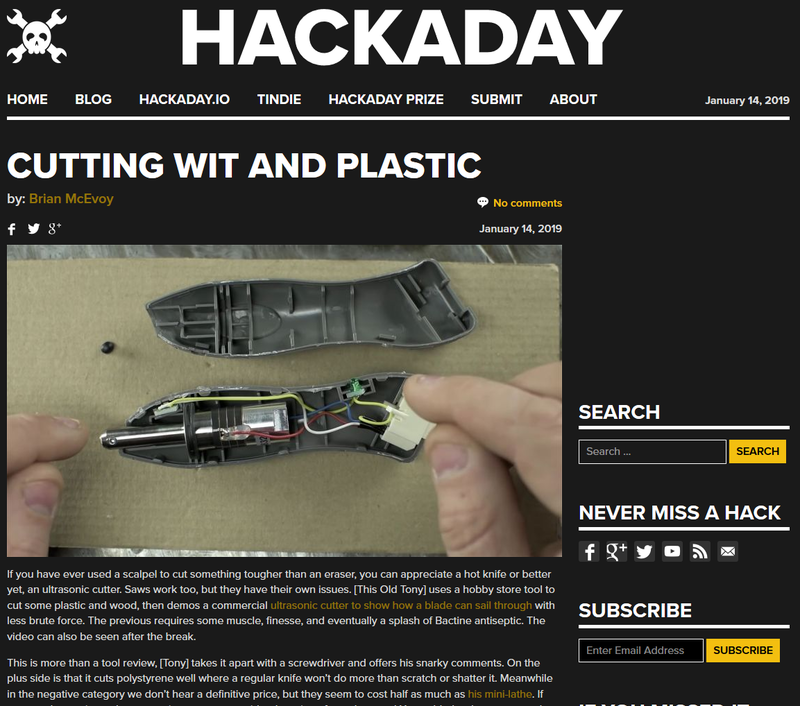 [This Old Tony] makes pretty regular appearances on the pages of Hackaday, and for good reasons. His builds, tools, and explanation are second only to his commentary. 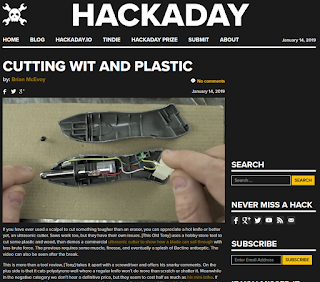 His review and teardown of an ultrasonic knife were rife with his usual cutting remarks about a cutting device. Inside we did not find any mysteries, nor should we but splitting the seam on a tool that costs as much as a new car payment is nerve-wracking so I am glad to see someone else do it.